The ServerSentinel sensors provide versatile and reliable monitoring, enabling you to control different resources in your building. If a computer is monitored remotely, an RDP connection can be established via the context menu. For examples of application see the sensor pages or the ServerSentinel Recipes. Use a wide range of server and network sensors. Run different applications or scripts (VBS, PS) with the script sensor and monitor their return values. Query databases with the database sensor. Monitor hardware (temperatur and fan speeds) with the SpeedFan sensor (in combination with SpeedFan). The XML sensor reads file content. Monitor room temperature and humidity with specialized sensors. Connect your smoke or motion detector to the contact sensor and monitor them with ServerSentinel. The hard disk sensors enable you to monitor content and state of your hard disks. Folder and file features can be monitored with the file and folder sensor (if installed, SpaceObServer will be used for to monitor folder sizes in the background). Monitor hard disk health with the S.M.A.R.T. sensor. Monitor the RAID-Status with the RAID sensor. Use the disk space sensor to collect information regarding the disk space usage and the disk space development on your system. Use the file system sensor to monitor file system events. 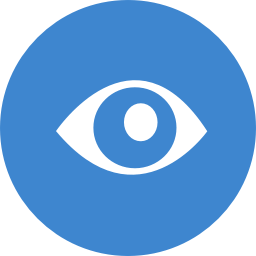 With ServerSentinel you can keep an eye on your network. The Ping sensor tests the availability of servers and single computers. The SNMP sensor monitors network devices like servers, routers, printers or an uninterrupted power supply (UPS) and receives SNMP traps. The HTTP sensor checks whether certain content is available. With the TCP sensor you can check if a connection to a host is possible. The FTP sensor monitors files and folders on FTP servers. The DNS sensor verifies that a DNS server can solve a certain address. With SMPT, POP3, or IMAP sensors you can easily monitor email servers or their services. Check if your email server works with the mail flow sensor. Keep an eye on your running Windows systems. Monitor the use of resources by processes and services with the process and service sensors. The specialized system load sensor was developed specifically for the monitoring of available internal memory as well as the CPU and hard disk load. With the versatile performance indicator sensor you can query system information. The Windows event log sensor enables you to query the Windows event log locally or remotely. You can formulate your own WMI querys with the WMI sensor. Conditions (e.g. thresholds) and inspection intervals can be defined individually for each sensor. Multiple actions can be performed consecutively. Exception times for condition can be defined. This way you can make sure that, for example, an action stacking CPU load will not be run while a backup is being created. Sensors can depend on each other: a sensor will only be run if the dependent sensor was successful. The ServerSentinel Remote Client allows you to access both the configuration options of the sensors and the collected data. If a condition of a sensor is met, ServerSentinel will trigger predefined actions. You can configure these actions according to your requirements in the user-friendly editor and even connect several actions to one condition. For examples of application see the action pages or the ServerSentinel Recipes. ServerSentinel will inform you via email or text message once an error is logged. Warnings can also be conveyed via an accustic or optical signal, e.g. via the connected USB signal light. To create comprehensible logs ServerSentinel can perform entries in the Windows event log. In case of a critical system status ServerSentinel can automatically run a program or script. Use the action Windows service management to start, stop, pause, resume, or restart a service (availability depends on the service). Switch network devices on and off with an SNMP action. Create system restore points automatically with the restore point action. Shut down and wake up systems with the shutdown action and wake on lan action. All results are saved to a database and can be accessed at any time. Readings can be grouped and filtered in the detailed view (e.g. sorted according to error status). The graphical presentation in a diagram facilitates an easy overview, e.g. over the historical development.